Beth Wright feeds more than 100 people each year with her 1.2-acre organic CSA farm in Brooklyn. Up until this year, she’s done it alone. 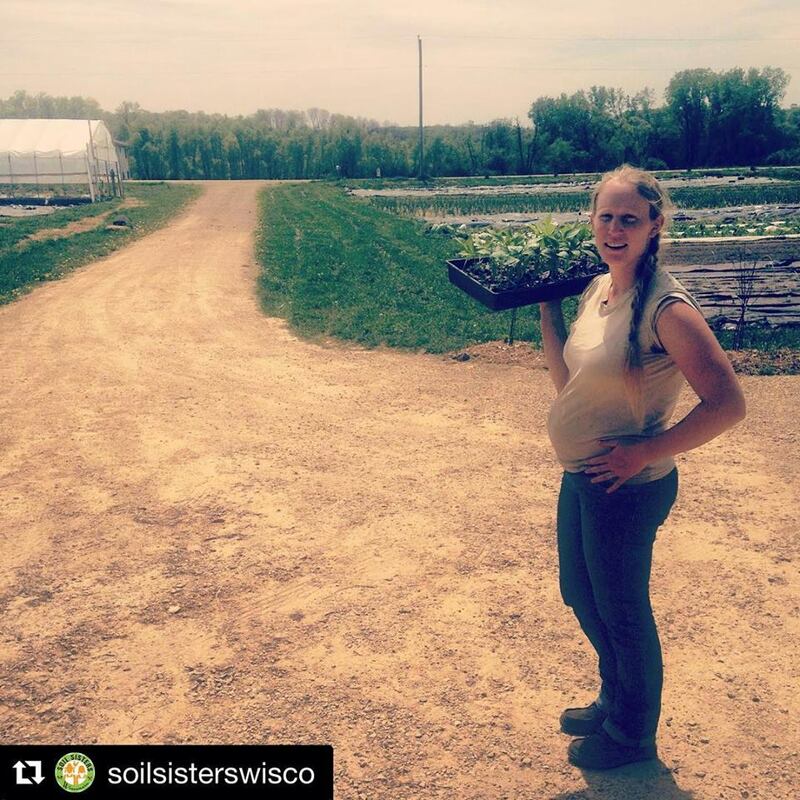 Now, at six months pregnant, she’s preparing to raise a family on her farm. "I’m the primary farmer, so I take care of pretty much everything," she said. "This is the first year I’ve had other help … and learning to let other people do it has been good, but challenging at the same time." Wright is part of a growing trend of women-led farms. Women make up one of the fastest growing groups of new farmers, according to the U.S. Department of Agriculture 2012 Census. Women-led farms make up 14 percent of the farms in the United States, and while that may seem like a small percentage, it’s nearly double what it was 20 years ago. 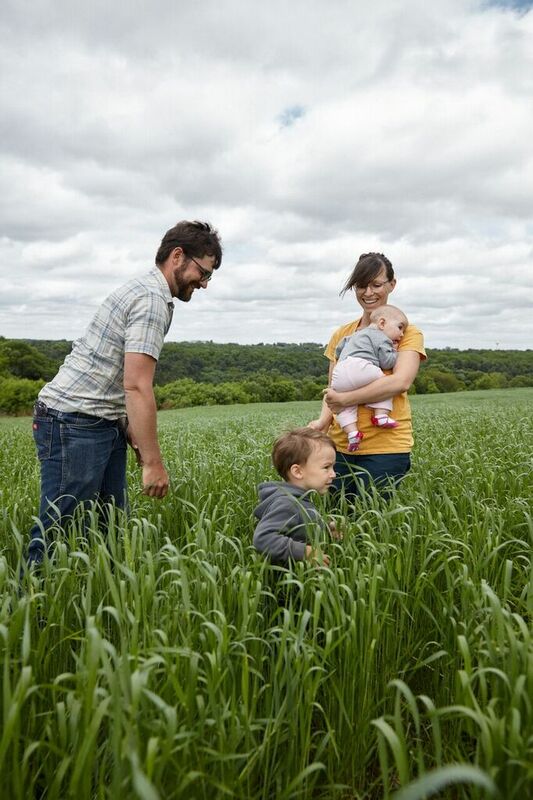 Along with that rise can come a variety of challenges and changing roles if they decide to raise a family — an issue that doesn’t get much attention, said Lisa Kivirist, an advocate for women in sustainable agriculture and owner of Inn Serendipity near Monroe with her husband. While child care struggles aren’t singular to women in farming, it does raise some unique challenges, particularly for newer farmers who are learning the business and face more financial uncertainty. Farmers' fluctuating and seasonal schedules can be both flexible and difficult to plan around, and farms are inherently in rural areas, which can be isolating and make outside child care difficult to come by. Safety is also a big concern, Kivirist said. Every three days a child is fatally injured in a farm accident in the U.S., and about 33 are injured each day, said Dr. Josie Rudolphi, an associate research scientist with the National Farm Medicine Center. Tractors and machinery, drowning and motor vehicles are the leading causes of injury, she said, with the majority occurring among children age six and younger. "It’s often overlooked,” Rudolphi said. "I’d encourage anyone raising a young person in the environment to get their hands on resources to educate themselves." Rudolphi said mothers are often called third-shifters because many hold jobs outside of the farm, jobs on the farm and much of the child care. Those demanding schedules can involve bringing children into the workplace, where they can be a huge distraction. But Kivirist pushes back against labeling child care as a women's issue. "We don’t want to label raising kids on the farm as a female farmer issue, for any farm family to be successful in child care, it takes a village," she said. Halee Wepking’s experience with farming coincides with raising a family. She runs Meadowlark Organics in Ridgeway with her husband, and has two children who are 5 months old and 3 years old. "The child care has fallen on me," she said. "Personally what that means is feeling like my career is on hold. You don’t get the same experience, all this is stuff you have to do to learn." Wepking does the farm accounting, marketing, helps take care of their 60 heads of cattle and is an active part of making business decisions. But there’s a skill gap between her and her husband, who grew up on a farm. Someone has to keep an eye on the kids and she’s still nursing their daughter. "(To) a lot of my peers outside of farming, it looks like I’m a stay at home mom," she said. "It’s a hard thing for self esteem and sense of worth." Having a baby, no matter one's occupation, requires plenty of thought and planning, but farm life complicates that even further, Kivirist said. Wright and her husband, who works full-time at Epic Systems, plan to hire help for around the farm, as well as have her mother and a nanny watch their baby. "It’s going to be interesting," she said. "I envision people bringing the baby to the field so I can nurse, but I’m trying not to have expectations of getting it all done and be low key and know that I need help to find that balance." Wright has also put a great amount of effort into managing her farm’s schedule — which can be a difficult thing for beginning farmers. "I’ve had a farm for five-plus years, I feel like we’re in a good place," she said. "If you don’t rein in the farm and contain it, it can totally take over your life. I want chickens and pigs, but I know we don’t have the space for that right now." Despite some of the challenges, Wepking said raising her kids on a farm offers a wide range of lessons. "It’s a really beautiful thing," she said. "Our son, in particular, has a really interesting view of the world. He understands the way things work ... the circle of life, access to nature, understanding where your food comes from … and there’s a lot of room for play." Another thing farming has going for it is the strong community ties, she said. "One of the funny things that happens when you live in a rural area is you really value those relationships," she said. "In urban areas I took those for granted more. We’re really lucky to have a community of people going through similar ups and downs." "The reality of being a farmer is it’s somewhat isolating," she said. "What I’m seeing now that I’m inspired by is a community of women online offering support, women of all ages sharing experiences to help each other. I think a lot of that is pretty unique to female farmers."